Clive Owen LLP, which has an office in York, is celebrating after being named the top financial adviser in the North East. The team at Clive Owen Corporate Finance has topped the financial volume table following the publication of Experian’s annual UK and Republic of Ireland mergers and acquisitions (M&A) report. 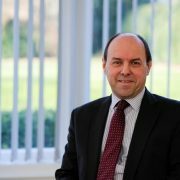 Clive Owen LLP specialises in corporate and commercial clients and has offices in Darlington and Durham as well as York. Meanwhile, a financial expert from Clive Owen LLP has been appointed as board director for the York Professionals. Jonathan Doyle, a senior manager at the firm’s York office, brings a wealth of experience to the board. After joining the firm in 2010, Jonathan now advises a broad spectrum of clients and owner managed businesses on year end accounts preparation, management accounts, tax planning and audit services. York Professionals represents the city’s professional services economy in the business support, creative and digital, finance, legal, marketing, people and property sectors.